With its snow-capped mountains and stunning seaside scenery, Corsica lives up to the label, "Island of Beauty." Along the coast are a variety of beautiful port towns, and the hillsides are filled with beautiful picturesque villages. Corsica is a paradise for outdoor sports seekers and for beach lovers. There are more than 1,000 kilometres of shoreline to seek and the island boasts more than 2,000 kilometres of nature trails so there is always somewhere new to discover. The landscape draws in hikers, whilst the sandy shores are a sun-seekers dream. The crystal waters are the perfect spot for scuba diving or snorkelling or simply swimming in the sea. Enjoy luxury holidays to Corsica with Voyage Prive and discover the mountains and beaches or investigate the ancient history of this fabulous French island; book online today. We think Corsica is the perfect spot for those in search of adventure and fun. It's the perfect spot for family adventures, solo adventures and trips with friends. There is an endless array of activities to partake in and you'll never go bored on this island. It also caters to all beach lovers who are in search of a relaxing holiday with its stunning shoreline. So whether you love the beach, adventure, or both, then a holiday to Corsica is the perfect destination for you and with our amazing deals, you will find luxury follow you there. Corsica is bursting with wonderful things to do, but if you need a little inspiration, then check out our top five things to do in Corsica. This beautiful town has an enchanting effect on its visitors. The town boasts a majestic seaside setting with sandy beaches on the horizon and snow-capped mountain peaks in the distance. Ajaccio is the capital of Corsica and the largest town. One of the best tourist spots in the city is the house in which Napoleon was born, otherwise known as Maison Bonaparte which is located on Rue Saint-Charles. It's now a museum in which visitors can enter. 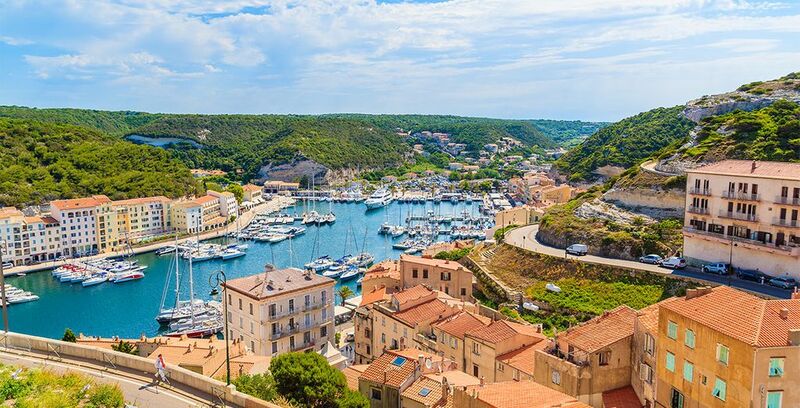 With five kilometres of beautiful beaches along the bay and a picturesque marina, Calvi has always been a popular holiday destination. Swimming and sunbathing are top tourist activities. The town also has many sites which will cater to those who enjoy culture, such as an ancient citadel with its very impressive protective walls which extend down to the sea. After a day of exploring, treat yourself to delicious seafood and perhaps a glass of French wine in one of the many wonderful restaurants on offer in the area. The Bouches de Bonifacio is the largest nature reserve in France and covers an impressive area of land. It's an unspoiled wilderness scene is in southern Corsica, and the terrain has a distinctly North African ambience. Corsica even boasts the most varied vegetation of all the Mediterranean islands, and this results in an amazing 300 varieties of plants, along with rich marine life and intriguing bird life. There are many protected and rare species of fish and birds which love this environment. Beach lovers rejoice! 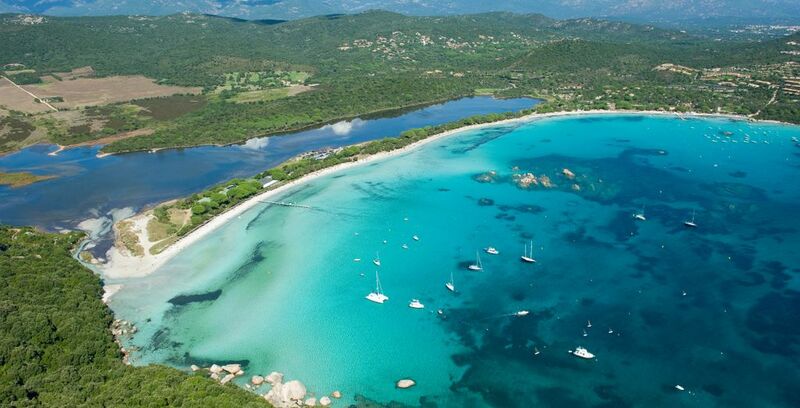 Some of the most popular beaches of Corsica are located on Porto Vecchio. The town was established by the Genoese and still has remains of an 18th-century citadel which is protected by walls. Many tourists come to this area to escape to nature and the sandy beaches on offer. One of the top beaches to visit is the Plage de Palombaggia, which is known for its crystal clear and calm waters alongside its wide sandy shore. Advanced hikers and extreme outdoor-adventure enthusiasts regard this trial as one of the best and most challenging. The trail traverses the island of Corsica from north to south and covers an inspiring landscape of wild gorges and rugged hillside. The trail is known to be the most difficult hikes that Europe has to offer. It's extremely long, and the terrain remote, rugged and dramatic. The result? Some of the most stunning views in Europe. We offer a range of brilliant hotel deals that are constantly updating and changing, so be sure to book quickly so you don't miss out on a fantastic deal! This beautiful 4-star hotel allows you to stay on Corsica's southern coast on the beaches of Santa Giulia, which is regarded as one of the most beautiful. You'll also be greeted to a delicious breakfast each morning to get your day started. Enjoy an enchanting four-star Radisson Blu Resort & Spa Ajaccio Bay on the beautiful island of Corsica. The hotel combine refinement with relaxation in an exceptional setting. It comes with great features contemporary style in a stunning natural setting. Boasting amazing views over the Valinco Gulf, this luxury Spa hotel will be a treat for all who stays. Enjoy exceptional food at the restaurant and an idyllic relaxation with comfortable accommodation. 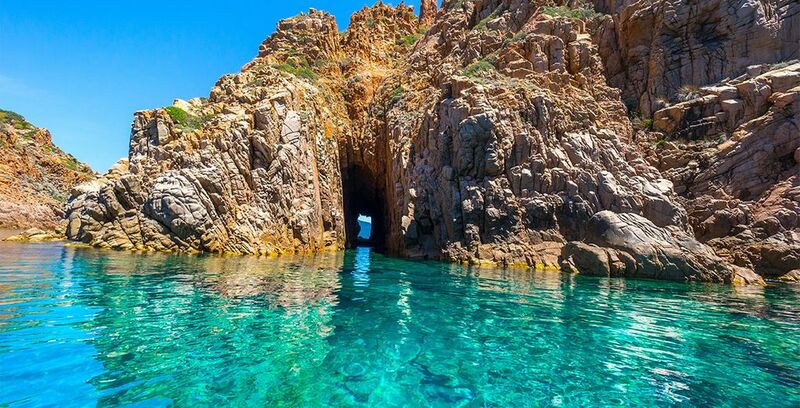 The Mediterranean island of Corsica, perhaps most famous for being the birthplace of Napoleon, features sparkling blue waters and impressive mountain peaks. The majestic natural beauty of the island - a region of France - offers much for visitors and locals alike, from hikes and nature walks to long, lazy afternoons on the beach. A hike through the Scandola Reserve might yield a peek at seagulls, cormorants and even sea eagles. The beach areas offer both fine and coarse sand and deserted coves and inlets to explore. A range of activities, such as kite surfing and wake boarding, are available while on your holiday to Corsica. The ruins of Filitosa are more than 5,000 years old. At the site you can see the infamous menhirs and other ruins that give insight into ancient cultures and lifestyles. Capula and Cucuruzzu in Levie are equally fascinating ancient sites, dating back to the Bronze Age, the second millennium BC. Cucuruzzu is a fortified Toréen complex, while Capula, which was also occupied from the Bronze Age, gives visitors an insight into the feudal system of medieval times. In the south-east near Corte, Aleria is the place where Phoenicians settled in 565 BC, after the Persians chased them from their homeland. While little remains of the Greek settlements there, evidence of the Roman occupation include remnants of the Roman town, the villa and the necropolis. For those interested in more contemporary history a visit to the Maison Bonaparte, Napoleon's ancestral home, is a must. Situated in Ajaccio, the Maison includes items related both to Napoleon and his siblings. It was the place he spent the first nine years of his life. The Musée Fesch, also in Ajaccio, features a range of paintings from Early Italian and Roman Baroque to the Napoleonic Collection. Highlights include Botticelli's Virgin and Child and Paolo Veronese's Leda and the Swan. In Bonifacio, the beautiful Église Sainte-Marie-Majeure de Bonifacio, which was built in the 12th or 13th century, features stunning Roman architecture and a respite from the heat. The history of the island is dotted through its towns, providing insight into the complex and exciting evolution of this fascinating island. From the mountains to the sea, Corsica has something for everyone and our exclusive range of hotel offers let you get the best of your holidays to Corsica. What is the weather in Corsica? Spring arrives in Corsica around March time and the temperatures begin to rise, sunshine increases and the whole island bursts into colour as the flowers bloom. Average temperatures are around 10°C at this time of year, with highs of 17°C in April, which will feel very warm. The summer season can peak in July as the sunniest month of the year and a great time to visit if you want to get a tan. Generally, it's warm all year round. What budget should I plan for Corsica? Your final budget for a holiday to Corsica will depend on the type of trip you are taking. If you are planning on staying in luxury (we have you covered for a great price), and dining out in the evenings, then you would expect to be paying around £150 a day. However, you can certainly do it for less. The average budget tends to be around £100 a day to comfortably see Corsica without missing out on any of the amazing things to do, and the wonderful food and drinks on offer. Discover more travel plans: south of France holidays, last minute holidays in France, France holidays, great deals to France, France weekend breaks, stays in France, France travel guide.